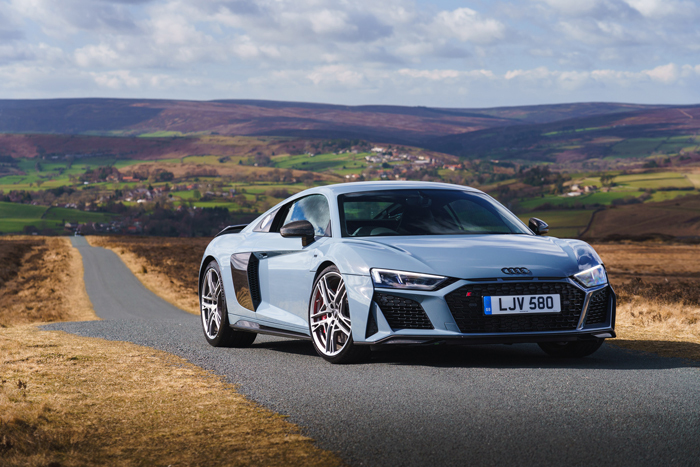 Audi has announced that it has remastered and reissued two of its most renowned engines for inclusion in its updated UK Audi Sport line-up . The German OEM’s naturally aspirated V10 returns to the R8 and the five-cylinder 2.5-liter TFSI returns to the TT RS. The five-cylinder TFSI – which also forms the heart of the RS3 – will output 400ps and 480Nm of torque, enabling a 0-100km/h sprint time of 3.7 seconds in the TT RS Coupé. Top speed is 280km/h. The updated 10-cylinder is now available in 570ps and 610ps variant. The two new models retake their positions in the UK Audi Sport line-up alongside the latest RS 3 sportback and saloon.